Shop the Dr Nick Lowe skincare range to gain a clear complexion here at Mankind. With over 30 years’ experience, Dr Nick Lowe is an internationally recognised Dermatologist with unparalleled experience and knowledge in the skincare field. From Liverpool to Los Angeles, Dr Nick Lowe has refined his skincare knowledge through a multitude of studies and research, to create his world renowned skincare range. Enjoy beautiful skin every day by completely your male grooming regime with the Dr Nick Lowe range. 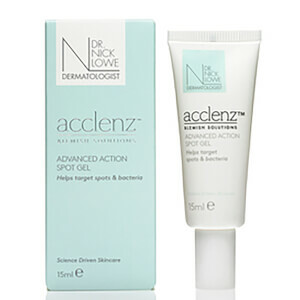 The Dr Nick Lowe Acclenz Pore Refining Facial Polish is specifically formulated for blemish-prone skin for a smoother, clearer complexion. Containing environmentally friendly exfoliating beads, it buffs away dead skin cells for refreshed, renewed skin and a radiant glow. 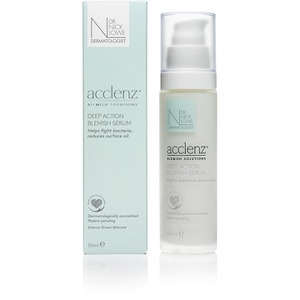 Infused with glycerin, salicylic acid and eucalyptus leaf extract, this anti-microbial formula inhibits bacteria growth, eliminates spots and provides an intense burst of hydration for soft skin. Where to Buy Dr Nick Lowe Products? You can purchase Dr Nick Lowe products right here at Mankind with free delivery options available.